Welcome to the office of Dr. Michael J. Guevara! Your smile is our priority! Dr. Guevara and his team are dedicated to providing you the best, quality orthodontic care. Every patient is unique and has different needs, so we pride ourselves on providing orthodontic treatment that fits your specific needs in a caring, relaxed environment. We specialize in adult and child orthodontics, including Damon braces, Invisalign invisible braces and In-Ovation-C clear ceramic braces. Our friendly, caring staff is available to help you choose the right payment plan. Dr. Guevara and his team look forward to serving you and helping you achieve your goal of a healthy, beautiful smile! “The decision to get my braces was one of the best things I have ever done....The experience was awesome, and I’m glad I chose Dr. Guevara for my care.” Kolleen B. “You should know that this is probably the best place you could go. The people are professional and easy going.” Chas C.
“Dr. Guevara and staff are the most friendly, knowledgeable and considerate of any dental or medical office I’ve ever been in…. Thank you, All. You are really a great team.” Kim M.
“The staff here were always attentive, professional, and well organized….this has been a wonderful experience for me and it can be for you, too.” Laurie R.
Thank you for visiting our web site. 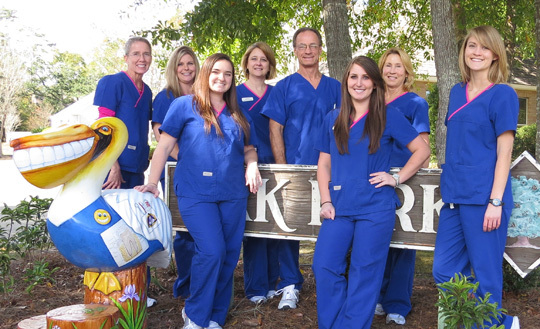 Dr. Guevara and his talented team work hard to bring healthy, beautiful smiles to the Slidell area. Dr. Guevara is a board certified orthodontist and is also Invisalign certified, and Teen Invisalign certified.